The enzyme in question, known as fatty acid photodecarboxylase (FAP) is unusual, in that it is activated by blue light. Whilst many organisms are capable of responding to, or capturing sunlight, very few chemical reactions use light as an input. So far, we know about three such reactions: with photosynthesis providing two of the best known examples, and a reaction used to repair damaged DNA making up the third. Finding a fourth example, especially one that could help power the future, is big news. The article which details this discovery, titled ‘An algal photoenzyme converts fatty acids to hydrocarbons’, was published in the journal Science, on September 1. The team of scientists, from the Biosciences and Biotechnologies Institute of the French Alternative Energies and Atomic Energy Commission, found that the FAP enzyme present in the alga Chlorella variabilis works together with the cofactor Flavin adenine dinucleotide (FAD). The enzyme uses blue light to remove carboxyl groups from fatty acids, leading to the formation of alkanes or alkenes. Once the gene responsible for this reaction had been identified, the team tested it again, by transferring it to bacteria, which were then also able to convert fats to hydrocarbons. Production could be stopped by switching the light source from blue to red. In a Perspective article written in the same issue of Science, Nigel Scrutton from the University of Manchester examined the challenges in identifying and harnessing suitable photoenzymes which can be used to catalyse these reactions. Because using an enzyme which is activated by visible light is an environmentally friendly option for these reactions, it is a very useful discovery for the potential of creating fuel in the future. The team also think that by modifying the enzyme it may be possible to allow it to catalyse a wide range of different chemical reactions. 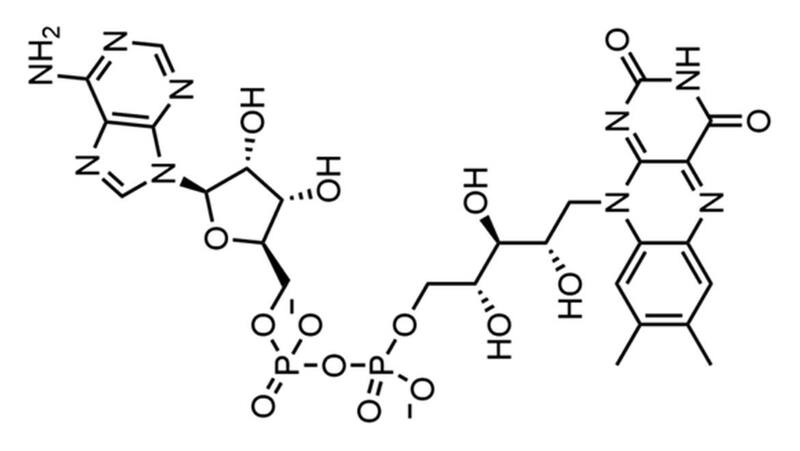 It might also be the case that other flavoenzymes might also be photoenzymes which have yet to be discovered. Whilst a great deal more work is necessary in order to discover if this reaction is scalable to an industrial level, its discovery is certainly significant whilst also giving hope that there are novel new fuel production strategies out there.